Spirit hunting ground blind. Hunts up to 3 people and has 14 window openings. 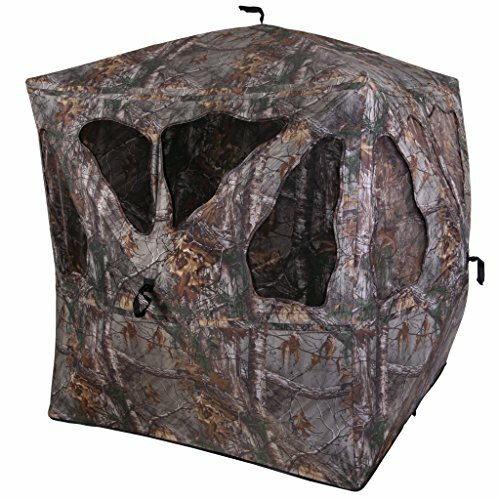 Has a Silent Daisy Chain windown system.Harness the spirit of the wild with the Spirit™ ground blind. This premium blind successfully creates an authentic, realistic shape and aesthetic that virtually disappears when deployed. The organic window openings utilize unique shapes and lines so you can set up your weapon behind the shoot-through windows undetected. If you prefer to open the windows instead, the silent daisy chain closure system allows you to do so with absolutely zero noise.